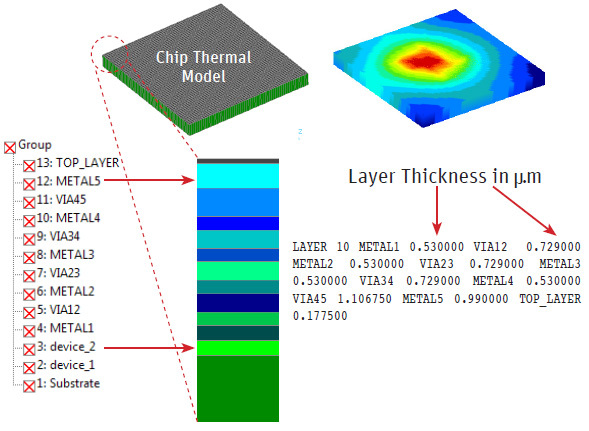 Models are becoming more difficult to develop, integrate and utilize effectively at 10/7nm and beyond as design complexity, process variation and physical effects add to the number of variables that need to be taken into account. Modeling is a way of abstracting the complexity in various parts of the semiconductor design, and there can be dozens of models required for complex SoCs. Some are tied to a specific IP block, while others are abstractions of an entire system. There also are models that are meant to be lightweight and very fast, such as those used to model heat in a complex design or those used to determine which architectural approach will improve performance. Models also can be cycle-accurate, meaning they are direct representations of a particular function or even an entire chip. The problem is that there is a lot going on at 7nm—multiple power domains, physical effects such as leakage and heat, RC delay, a very large number of possible use cases, and variation of all sorts—so not all models work equally well. And perhaps even more confusing, not all models work equally well together. There are some fundamental changes at each new node, as well, that substantially weaken the value of certain types of models, while leaving others as relevant as ever. So at 28nm and above, it was enough to model inductance to determine how signals would move through a device. That began to change at 16/14nm, and it completely changed at 10/7nm, where various types of noise—power, thermal, electromagnetic interference—are much bigger concerns. There are other issues, too. Models tend to identify what works and what doesn’t, but not all models are updated frequently enough to capture all of those changes. In complex devices, problems may not even show up until devices are in use in the market. There are models for almost everything in the design flow, from IP blocks to security to reliability and failure predictability. In general, models based on the most up-to-date and consistent data fare best. A model is only as good as the data used to create it. It gets worse as the number of variables increases, too. That includes use cases, interactions with other IP blocks or chips in a system and security flaws. The need to constantly update those models increases, but so does the risk of something going awry. At the system level, this can become cumbersome very quickly. To capture an Android phone’s boot up, for example, would require modeling the entire system, which is a gargantuan task. The result is that models are being used in a variety of ways—and not for everything. Arm, for example, backs both cycle-accurate and fast models for analyzing how embedded processors work in complex designs. The company’s approach recognizes the pros and cons of both cycle-accurate models, which faithfully reproduce the complete functionality but which are too slow for many system-level tasks, and fast models, which are functionally correct but lack correct bus timing. And this is where things also can get really fuzzy. Bart Vanthournout, senior manager for R&D at Synopsys, said companies are regularly asking whether to use a brute force approach with emulation or simulation, or whether to utilize abstractions in models. There is no single answer that fits all designs. The reality is that additional work is required no matter what route chipmakers take. A big unknown here is how models will fare in markets such as automotive, where requirements for safety and security depend on accuracy. This is something rarely understood outside of the analog world, let alone in the automotive market. But it has crossed over into the digital world at 10/7nm and beyond because of thinner insulation layers, thinner wires, and the same or higher clock frequencies. That’s very difficult to model, and it’s one of the issues that has cropped up advanced nodes. It also makes it hard for other design team members to utilize those models because they don’t mesh with other models being created for a design. On top of that, it’s becoming harder to tell exactly what is useful because it varies by node, by project and by market. And there are so many new markets cropping up these days that it’s not exactly clear what will become critical factors within these markets because there is little to no data available upon which to base some of these models. This can cause issues in any design, but it’s particularly problematic in safety-critical markets, where models need to tie into the actual implementation at some level. Put this all together and it becomes harder to determine where models work, when and how to use them, and which models work well with each other. Joe Davis, product marketing director at Mentor, said DFM models have consistently been able to deal with more corners and rising complexity. But the big advantage there is that foundries are sharing data much more than in the past. “Good models are not necessarily the hardest part. It’s coming up with a model that design teams can utilize,” Davis said. In other parts of the design, the data used to create models is much weaker, and this is particularly true at the most advanced process nodes. And to make matters worse, the siloed nature of designs tends to favor creation of models for specific purposes, without regard to how they can be integrated with other models by different groups within the design flow.